Custom technology can provide your company with a competitive edge. 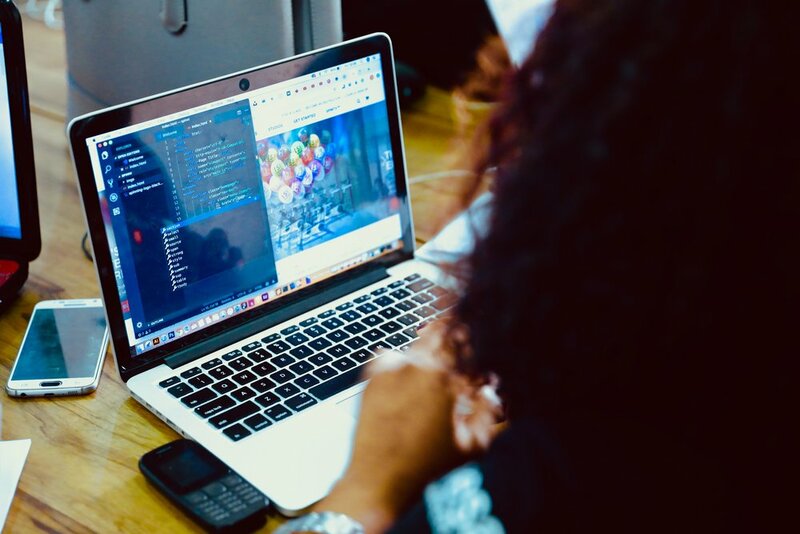 Whether that be a mobile application or custom software, dedicated developers who understand code and its importance to building your success as a business are critical. This guide will help build your confidence in hiring a developer and layout the process of how to do it successfully. Want to learn the best way to find, hire, and select a custom software development firm/group? Thinking about hiring software developers? As you know, custom technology can provide your company with a competitive edge. Whether that be a desktop application, mobile application (iOS or Android), enterprise software, custom software, dedicated developers who understand code and its importance to building your success as a business are critical. When you aren't a developer, choosing and hiring one can be daunting and overwhelming. This guide will help build your confidence in hiring a developer and layout the process of how to do it successfully. If you're in the earliest stages of making technology decisions, this guide will also define what custom software is and what type of development you need. You don't have to feel intimidated by technology and its complexities. Read on for your roadmap on all things related to custom development. Software developers see software through from an idea to its final product. They complete the research, design, programming, and quality assurance testing for software. They also work under the job title of programmer or software analyst or engineer. Some software developers have a specialty within the development process, such as design or programming. While there are many software developers out there, they are not all equal. A good software developer has experience on a variety of projects and has seen development through from ideation to launch. You should be careful when choosing just anyone to work on your development project. When you hire someone without experience, your project could be drawn out much longer than it needs to be as they learn what needs to be done in each phase of the process. Ideally, who you choose for your project will have experience in your specific type of development, such as web application development or mobile application development. Online businesses can grow and scale their business quickly by adding custom software to power their technology. While off-the-shelf solutions can get companies started, there comes the point when growing and scaling takes customization to meet the nuanced needs of your business. The more clarity you can provide around your problem you're trying to solve with technology, the more easily you can get to a solution. A custom solution offers the following benefits for your company. Custom software can also reduce your long-term expenses because it adapts with you. Solutions that don't scale will have to be replaced down the line, which means implementation and transition costs. 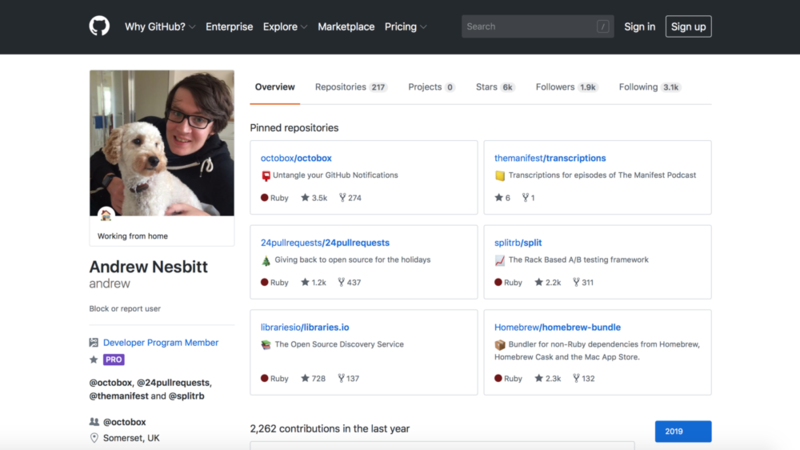 GitHub integrates with many apps and is a secure platform for development. It is the largest community of developers with 31 million active users. Here’s a look at the top developers on GitHub. ﻿With 12,947 contributions to GitHub starting in 2009, Fabien is the most active developer on GitHub currently. Andrew is from Somerset, United Kingdom, and has 10,188 contributions dating back to 2008. 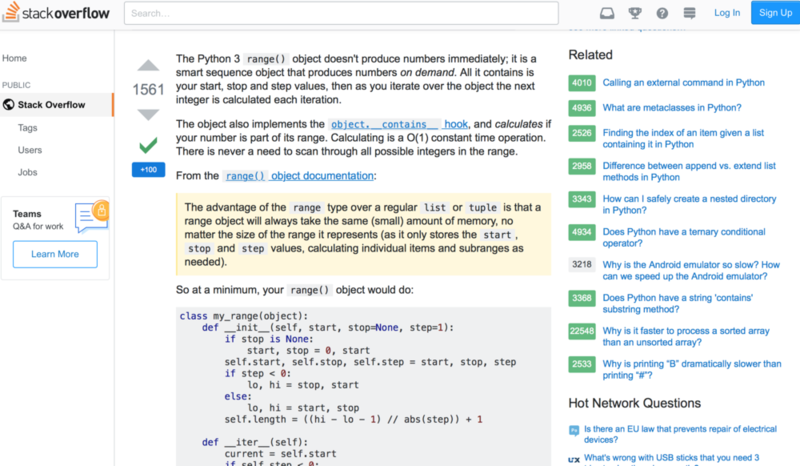 Taylor boasts 8,376 total contributions since he joined GitHub in 2010. He has 14,000 followers on the platform. Coming in at number four is Egoist from Chengdu, China. Egoist has made 7,688 contributions since 2014. 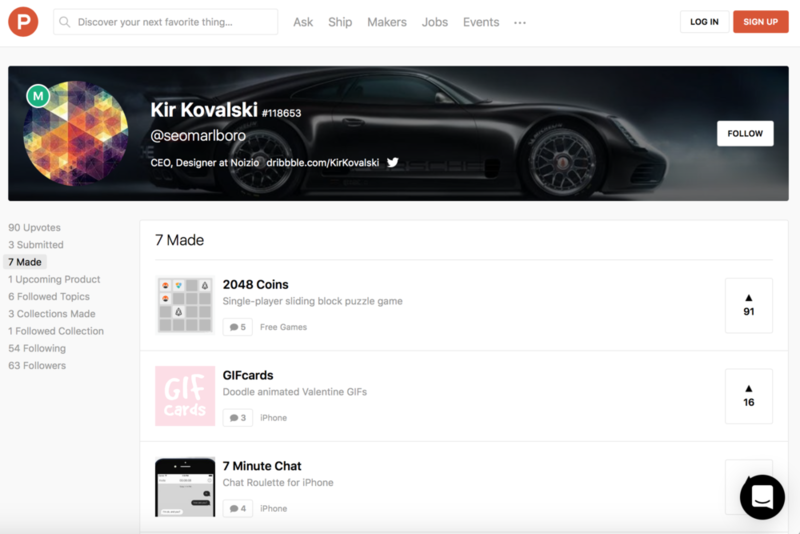 Product Hunt provides a platform for users to share their favorite apps, software and hardware projects. The community comments and shares about their experience with the technology. Upvotes are an indication of how popular the technology is. According to upvotes on projects, here are the top software makers on ProductHunt. Bram made a mark for himself with Startup Stash, a directory of tools and resources for startups, which earned 17,487 upvotes. He has put two other products out on ProductHunt, but none have been as wildly upvoted as Startup Stash. ﻿Fabrizio received 7,119 upvotes for his app Coolers. It's for designers to generate a color palette in seconds that they can share. 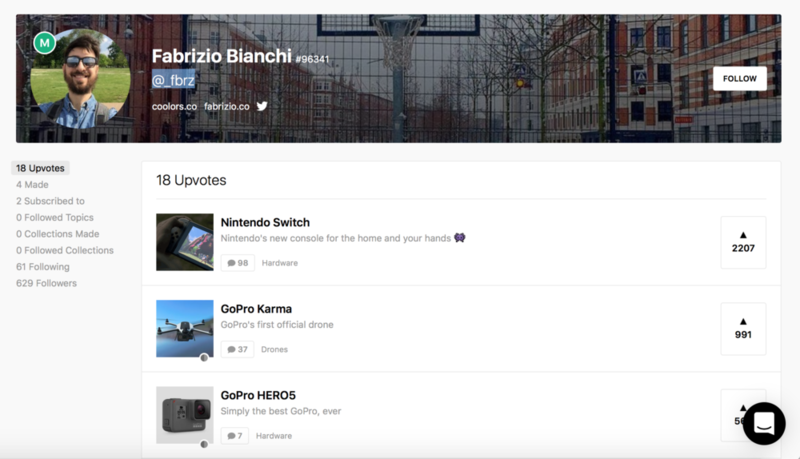 Fabrizio has a variety of other projects he has shared on ProductHunt. ﻿Ali was astounded by the response he received for Freebie. Supply, which he got 3,909 upvotes for. His website offers more than 400 free tools and resources for startups and entrepreneurs. He has a variety of other projects mostly focused on startups. ﻿Pieter invented Remote OK, a job board of only remote jobs, and earned 2,918 upvotes. The job board has more than 25,000 opportunities listed for those looking to find an entirely remote position. Kir is one of the developers of Noizio, an app that offers ambient noise that received 2,914 upvotes. You can combine a variety of different sounds to find the right mix that empowers you to be the most productive you can be. Stack Overflow is a community of 50 million developers. 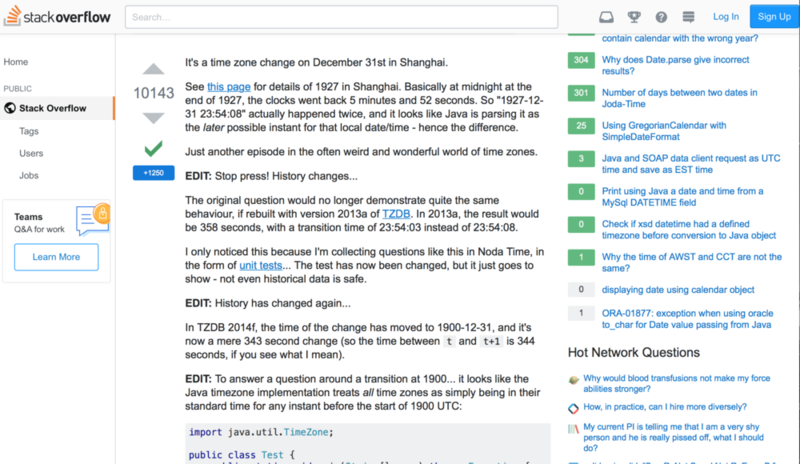 It provides a platform for developers to collaborate, share insights, and learn. Because it's a community, the top contributors are those who share their insights and knowledge regularly and receive the most kudos and appreciation for their thorough answers. Here's a look at the top 5 contributors. ﻿Martijn is a software architect with a robust background in web applications and content management. He lends his skills to helping others as a mentor and freelancer. He has provided 19,228 answers to questions on Stack Overflow. John is a senior software engineer at Google in London. He authored the book C# In Depth, which educates developers about the programming language. With 19,164 posts on the platform, he's the second-most active user. ﻿Alex works at Google in tech support for the cloud. He is extremely experienced in Python with 4,415 posts on the topic. He has a total of 5,906 posts. His most popular answer on the platform received 3,483 approvals as a helpful answer. ﻿Patrick is a more private user with little listed about him. He doesn't often post on the platform, but when he does, it receives very high approval ratings, making him highly regarded. His most popular answer received 4,349 approvals, though he has a total of just 81 answers. Mike is much like Patrick where he has shared little about himself other than the fact that he lives in Switzerland. He has been active on the site for more than 10 years. Mike's most popular post received 4,982 approvals. Custom software development is the practice of developing software for a specific business or group of users to meet their needs. It is not marketed to the masses and serves to replace off-the-shelf software options that are designed to try and meet the needs of everyone within a certain business class or niche. Off-the-shelf software is probably something you're extremely familiar with as a consumer of software yourself. Think of Microsoft Office or Skype. These are programs designed to meet the needs of a large segment of consumers without any customization. When companies develop custom software, they are able to experience improved efficiencies and scale thanks to the design that matches their business. Custom software also leaves the door open for future improvements and changes to address changing business goals and customer needs as the market shifts and changes. The time needed for custom software gets invested at the front with development but is caught up later on through added efficiencies. Off-the-shelf software can generally be implemented faster but then has lower efficiencies on an ongoing basis. The development process for custom software consists of six main phases. Planning: during this phase you'll evaluate the strengths and weaknesses of developing the software and create your plan for how to do so. Analysis: once you're in this phase you'll go through the various needs and functionality for the software. You should ask yourself what questions and problems you would like to solve with the custom software to ensure it matches your needs. Design: now that you know what the software needs to do you can build out the architecture of the project. The more time and effort you put into the design phase, the less likely you'll be to find flaws in the software later. Development and implementation: at this point, you're ready to actually start programming and building your custom software. When you have the software to a point where it's usable, you can then do a pilot to ensure it's ready and doesn't need to return to the development phase for more programming. Testing: before you roll your software out to the company, it must undergo rigorous testing. When you move software to a live environment, all updates and changes leave you vulnerable to downtown, which you of course want to avoid with software that powers your business. Maintenance: as with any software, you have to monitor and make updates to the software to ensure its long-term success and benefits. Even with off-the-shelf solutions, you'll need to run updates to avoid vulnerabilities and security concerns. Now that you know all about what custom software is and what it does, you can better evaluate what is right for your business. A concern many businesses face when evaluating custom software is the time and resources that it takes to design, build and implement. A partner that understands your business goals and needs can step in and handle this for you. Plus, an outside partner, like Vail Networks, can draw upon previous experience to ask questions that will further improve your project plan to ensure long-term usage of your custom software. It can be difficult to create custom software in house because the business is often too close to the project to see flaws and gaps. An outside partner is without bias and can spot imperfections and areas for improvement alongside the business professionals. Coding languages are a set of instructions, producing a specific output. Different languages have different strengths and communicate in various ways to computers. While software development has many different languages that serve various purposes when it comes to the final product, there are five main languages that stand out. Java: Java is cross-platform compatible, which is great if you're looking at having functionality in multiple places, such as a mobile app and your website. Java powers many back-end applications and the base of the Android operating system. C/CPP: Dating back to the 1970s, C is one of the original programming languages. Linux operating system is C based. PHP: Hypertext Preprocessor (PHP) is used a great deal in web development, including the very popular content management system WordPress. If reading about the various program languages makes you feel even more intimidated by a custom software project, don't be. You don't have to know which language to use to start your project as you'll be receiving counsel from a software developer. The cost of software development is highly dependent on the needs of your company. Some custom software projects are large and quite involved, while others are simple and take less time to implement. The best first step in evaluating the cost of custom software development is to map out what you need and what business objectives you're trying to accomplish. If you have a timeline, you should include that. Your timeline will dictate how large of a team you need to attain your goals. If you're hoping to move at lightning speed, you might need a larger team than you would if you're OK with working through multiple development sprints. When you work with a freelancer, you more than likely will pay by the hour. While the freelancer can draw upon previous experience to provide a total project estimate, they are usually a team of one and can encounter issues that are time-consuming and unforeseen. The average price for freelance developers is $75-150 per hour. While the per hour pricing is lower than larger agencies, you can end up paying more due to requiring more hours since it's a team of one with one specialty instead of multiple members who each focus on different aspects of the development process. In contrast to freelancers, agencies are about $125-175 per hour. The benefit of an agency is that you can have a project manager and team of developers to move your project along more quickly and capitalize on strengths. An agency can also take some of the burden off of your in-house team by leading the project from start to finish. Agencies vary in size from a few members to hundreds of employees. The size of the agency you choose ties back to what you are trying to achieve and how quickly you need it done. While an online software development company can be extremely budget friendly at $25-50 an hour, it's also highly risky. You're working with developers from all across the globe, meaning communication barriers can hurt their understanding of the project. Because online companies are more difficult to have oversight from your company, the code can also lack quality. These arrangements generally offer a large team with various capabilities and specialties, which is excellent. However, because they're a dispersed team, it can feel disjointed and take longer to complete the project. Using remote workers outside the country is a great money-saving tactic. It's when you lack the project manager to interface with your leadership team to understand objectives and feedback along the way that this model presents challenges. Vail Networks is a full-scaled software development and information technology firm that builds the best hardware and software solutions. We have the ability to scale enables us to provide pricing models that fit any budget and development goals. Full Costs: $7,500 to $12,500 per month $35,000 per month. $175,000 to $1,250,000. 5 Full-Time Software Developers, Dedicated Project Manager, and 24/7 VIP Support. 10 Full-Time Software Developers, Dedicated Project Manager, and 24/7 VIP Support. As technology improves and enables teams to collaborate seamlessly over the web, remote work has become highly efficient. Software developers can work the hours that work for them and pace the project accordingly due to a lack of commuting. Many industries and specialties are moving toward remote work and software development is one that is poised for capitalizing on this trend. Buffer, the social media management platform that has grown in leaps and bounds over the last several years, employs an entirely remote workforce. Given the company's success, they've clearly found a way to hire the right team and stay in communication despite being distributed throughout the many time zones. At Vail Networks, we believe the move toward remote work is positive and enables efficiencies never before imagined. Teams can be located throughout the world, meaning work is accomplished 24/7 by benefiting from a multitude of time zones. When the west coast shift ends, the east coast seamlessly picks up where they left off thanks to software development software designed for team collaboration. In a survey from CoSo Cloud, 72% of employees reported having higher efficiency while working from home and were 52% less likely to take time off. Because these employees report saving about $5,240 a year thanks to no commute or away from home lunches, they also have higher job satisfaction. Thanks to 45% of remote employees getting more sleep and 35% getting more exercise, these employees are also less likely to make mistakes and have a positive attitude toward their work and reduced stress, which also improves outcomes. Software development platforms enable teams to collaborate from anywhere and get the work done. They allow the business employing the software development team to log in and see where things stand and expected timelines. This provides for easier reporting up to management to say where projects stand and how they are going. There are five main software development platforms on the market to enable this collaboration. ﻿Airtable markets itself as a sophisticated Excel spreadsheet. The view looks much like a spreadsheet and enables users to filter by project type, tags, and filters. The data within Airtable can be used for Kanban boards as well using a different view within the platform. You can drag and drop tasks to different boards and attach files related to those tasks. The platform offers robust tagging functionality to show what a task refers to and where it is at. It also integrates with major platforms like Slack, MailChimp, and Salesforce to improve efficiencies and data. The free version allows for robust functionality and upgrades start at just $10 a month. ﻿Basecamp provides a place for users to post where a project stands, to-do lists, documents and group chat. While it has robust functionality, it isn't a cluttered mess to try and find what you're looking for. At $99.99 per month for unlimited users, it's easy to scale with multiple projects and various teams. It's also easy to use on both a Mac and Windows as well as mobile apps. ﻿As an online Kanban tool, it is a platform with a minimalist design that is feature rich. With drag and drop tasks, you can easily manage the complex processes of software development. Each card expands when you click on it so you can see who is working on it and where it's at in accordance with its due date. The cards allow for you to attach documentation and comment for your team to see or even tag a specific person within the comment. Cards move from various stages in the process to indicate whether they are under the planning phase, development or completed. Trello receives a 4.5 out of 5 stars on Capterra and allows for integration with other platforms as "Power-ups." It's affordable at free to $9.99 per user depending on your needs. The most significant pain point for users is the lack of quality customer service. ﻿As one of the most well-known project management tools on the market, Asana is adaptable to meet your team's needs. The platform offers multiple views to see data in various ways including Gantt charts, calendars, and dashboards. The easy-to-use platform features drag and drop functionality to help you manage the ongoing needs of your project and collaborate with team members. Because it is so widely known and used, Asana has many integrations with other platforms, including Dropbox and Zendesk. Your first 15 users are free with an additional $9.99 per user per month. ﻿Wrike is ideal for larger teams when it comes to project management. It is an extremely secure platform that scales well for multiple teams and projects. With Gantt charts, workload views, resource management, calendars, and organization by folders, projects, and tasks, Wrike offers a robust place to manage your team and projects. Because it has a view for the team working on the project and for the customer, Wrike is great for matching the needs of various groups. The free trial period enables you to get in and play around with the functionality to see if it's right for your team. From there, plans start at $9.80 per user per month. When you're working to expand and grow your business through custom software, you want to know that it will be done right and in an efficient manner. This means hiring the right software developers. Whether you're looking to hire a team of developers or hire a developer to make an app, it's an important decision. Here's a look at the various types of developers. Front-end designers create the part of the software that users see. They build the HTML to handle the structure and content that make up websites. Front-end designers also deal with CSS, which works in the background to augment what is done within HTML. The primary role of the front-end designer is to think like the customer and build a customer experience that will make the site pleasing. Unlike front-end designers, back-end developers' work is entirely behind the scenes and not something the customer really sees or understands. Back-end developers deal in Python, PHP, and other development languages. 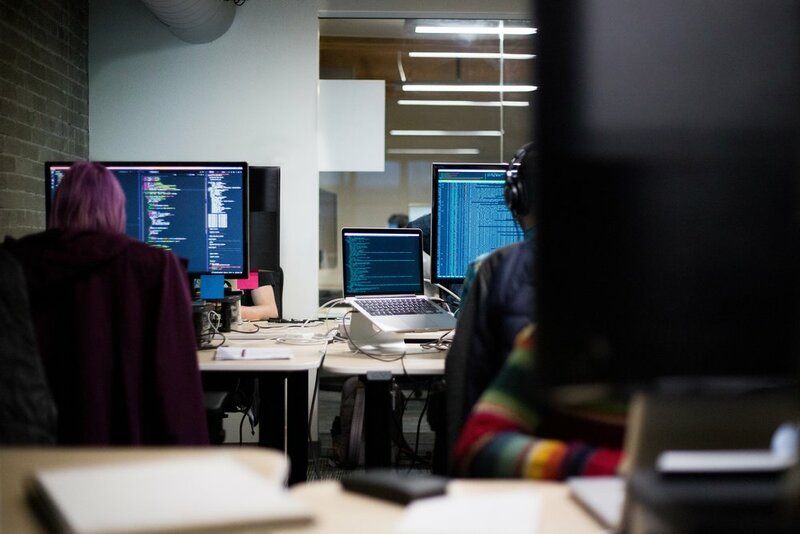 For the most part, back-end developers can expect to collaborate with front-end designers regularly to build out the capabilities needed for a stunning user experience. Full-stack developers are professionals who are experienced in both back-end and front-end development. While many do not complete projects from start to finish, there's a great benefit in a developer knowing and understanding both types of development. Developers who are full stack still generally have a focus area, such as front-end development or a specific program language. Each customer software project has different requirements, but generally speaking a development team of four professionals is ideal. That's how Vail Networks builds its teams because we believe it makes for the best outcomes and smoothest experience for all involved. Four developers are what is required to scale a desktop, mobile, or platform application accordingly without severe delays. Developers can seem very impressive during an interview but be unqualified for the job. When hiring a developer, you should require a show vs. tell philosophy. This means that you shouldn't just allow a developer to talk about themselves and their skills and allow that to pass as proof of their capabilities. Many websites enable developers to take tests, build their skills and prove what they're capable of to potential employers. A few of these sites you can use to test a developer's skills are Hacker Rank, Codility, or TestDome. These sites prove developer proficiency and fluency in coding the most popular languages mentioned above. At Vail Networks, we a custom software development company that only hires developers who have proven their skills. We depend on our developers to serve our clients with the best outcomes and in a timely manner.